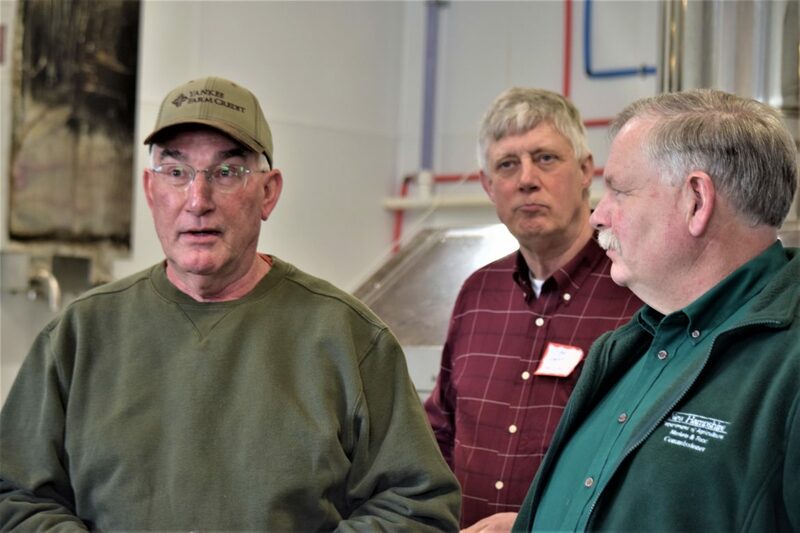 Dave Fuller, Fuller’s Sugar House, Stan Knecht, Coos Farm Bureau Member and NH Commissioner of Agriculture, Shawn Jasper attended the recent Sugar on Snow event. Welcome to InDepthNH POINTS NORTH, our reporting on North Country business and entertainment news and community event listings. If you know what’s happening, tell Rachael Brown at rachaelbrown@roadrunner.com. The Coos Farm Bureau held their Sugar on Snow event on Sunday, March 17th at the new 40 x 80 Fuller Sugar House on Route 2 In Jefferson. The sugar house is located on 732 acres within the Randolph Community Forest. A million feet of piping carries the sap to the sugar house. Brian Bresnahan, North Country Constituent Service Representative for Congresswoman Annie Kuster; Mike Cryans, District 1 Executive Councilor; Bill Hatch; Rep. Edith Tucker, D-Randolph; Denis Ward, president, NH Farm Bureau Federation; Rob Johnson, policy director, NH Farm Bureau Federation and Joyce Brady, president Coos Farm Bureau. The Coos Farm Bureau is one of 10 counties that belong to the New Hampshire Farm Bureau Federation, one of the 50 states that belong to the American Farm Bureau Federation. The New Hampshire agency turned 100 in 2016. “Dave and Patty Fuller of Fuller’s Sugar House were hosting us in their new sugar house. Way back before snowmobiles, Sugar on Snow parties were a social event, people coming out after the darkness of winter and to talk politics,” said Mason. “Sugar on Snow is the tradition of heating up maple syrup, pouring it on snow, which caramelizes the mixture and hardens it like a leather apron. You eat it and then chase it with a dill pickle. That is what the custom is anyway,” explained Mason. The thought is the acidity of the dill pickle cuts the sweetness so you can go back for more Sugar on Snow. Then, there is talk of politics and legislation. On the following day by telephone, Mason and Rob Johnson, policy director of the New Hampshire Farm Bureau Federation, were on hand to speak about a few of the upcoming farm bills. “In the old days, in the ‘30s and ’40s, we had hundreds and hundreds of dairy farms. There was one point where we were down to almost none. There has been a resurgence,” said Mason. “In 2001 there were about 280. Now, there are about 90 to one 100 dairy farms. People still want to buy New Hampshire milk,” said Johnson. This is where HB 476 comes in: Replacing the milk producers’ emergency relief fund with the dairy premium fund. “This bill does away with the Milk Producers’ Emergency Relief Fund of 2007, which has never been used. It creates the Dairy Premium Fund and a mechanism to create a New Hampshire label for milk,” said Mason. The fund would provide assistance to milk producers who ship milk in New Hampshire. It would also authorize the Department of Agriculture, Markets and Foods to spend up to $200,000 to promote the program. “The bill passed the House unanimously and is now off to the Senate,” said Mason. This is a slight partisan bill (Republican 2-1). There are stories of kids canoeing down the river, setting drift wood on fire, threatening grass and pastures, stories of vandalism, crop theft, reckless running of 4 x 4’s through fields, many of these incidents never get reported to the police, explained Mason and Johnson. Hence: HB 394 Relative to Crop Theft. This bill would expand the definition of crop theft and raise the amount paid to the victim. “The farm bureau requested that a study be done to look at amending RSA 539.9 to change the current law from reading culpable state of mind to reckless state of mind, to bring awareness of the seriousness of vandalism and theft and to increase penalties,” said Johnson, adding it was becoming evident that crop thefts were perpetrated more and more by organized groups who are making a living this way. The bill would raise the fine to $1,000 from $500 and allow up to 10 times the market value or repair cost. Oh, and about those dill pickles. “There was a very good turnout on Sunday, but no we didn’t get to eat dill pickles,” stated Mason. 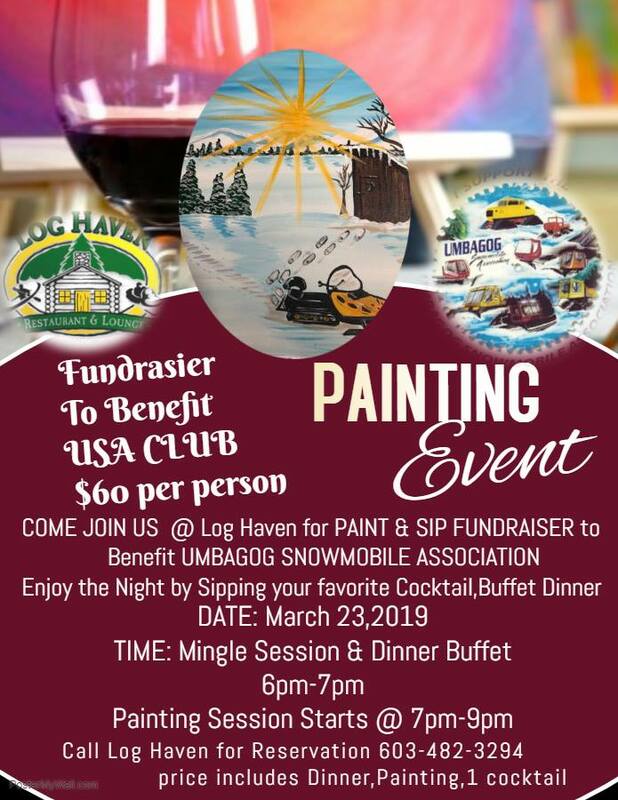 Sunday matinees start at 2 p.m. Evening 7:30 p.m.
March 23rd Dinner buffet 6 to 7 p.m. Painting session, 7 to 9 p.m. When: Fri. April 5, 6 p.m.
Sunday, March 31st 2 to 5 p.m. The temple dancer Nikiya and the warrior Solor fall deeply in love, igniting heated passions and murderous intrigues when the Rajah and his daughter Gamzatti discover their forbidden love. La Bayadere is one of the greatest works in classical ballet history – a story of love, death and vengeful judgment, set in India. Dazzling sets and costumes, with one of the most iconic scenes in ballet, the “Kingdom of the Shades,” illuminate the tragic tale of the temple dancer Nikiya’s doomed love for the warrior Solor, and their ultimate redemption. Sponsored by Kheops International. Admission free. The Tilly Hour starts a 1 p.m.